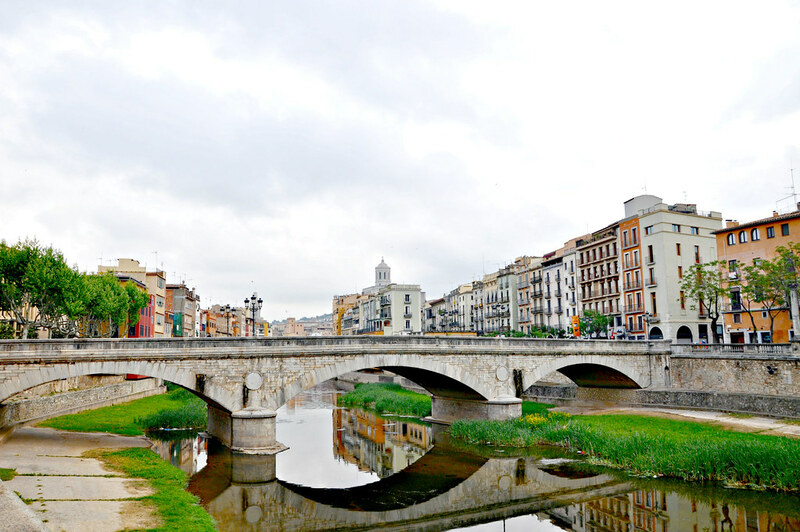 Undoubtedly one of the great attractions of the city is the river Onyar that separates its colorful shores that unite again with the help of its bridges, some already emblematic. 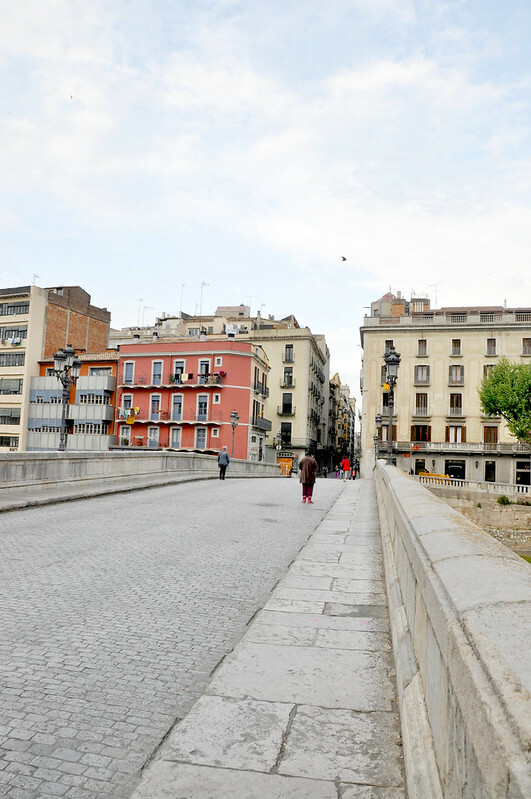 The first one that we see in the photo is the Stone Bridge also known by D. Isabel II since it was during its reign that was constructed (Year of 1856). The one that we can see at the moment was constructed where before would be a medieval bridge. It will be one of the oldest that exists to connect the old quarter with what they call mercadal. 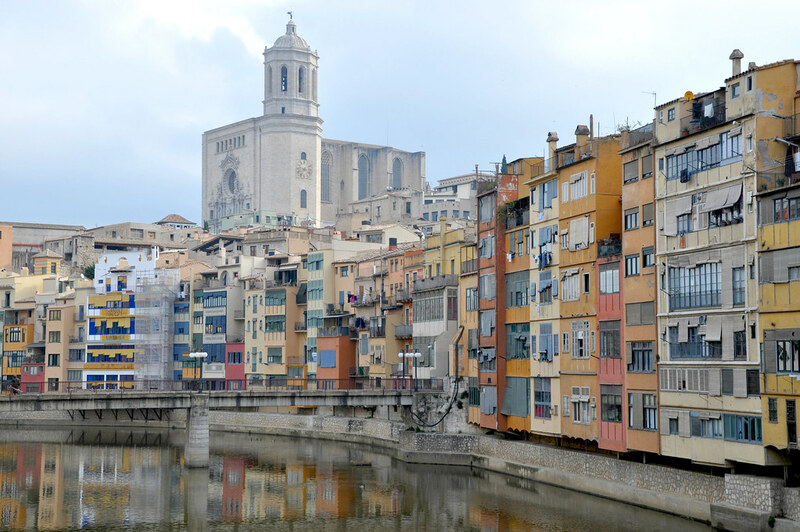 A ponte que vimos a seguir é uma das mais emblemáticas da cidade e a que seguramente aparece em grande parte das fotos que podemos em revistas falando de Girona. Tem vários nomes: Ponte de Hierro (Ferro) ou das Pescaderias ou Pescateries Velles e também Ponte Eiffel. Não terá sido o Gustave Eiffel a desenhá-la mas a sua empresa e por isso ficou o nome. Foi construída em 1877. 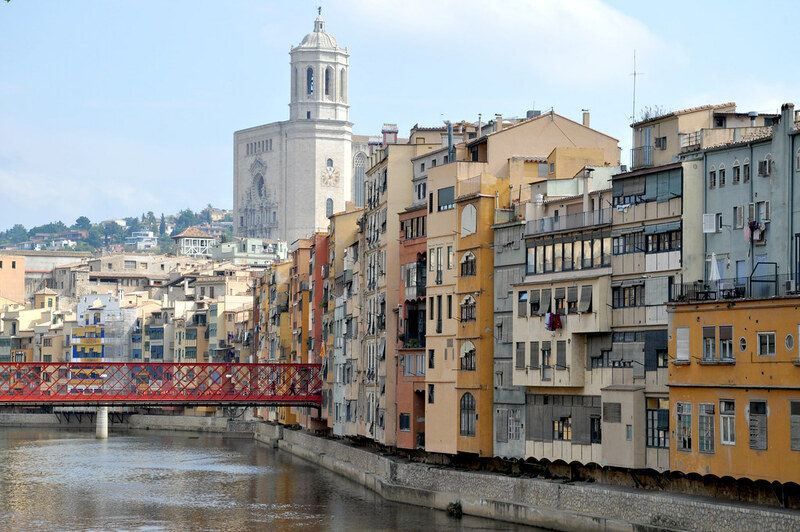 The bridge that we sawnext is one of the most emblematic of the city and that surely appears in most of the photos that we can in magazines talking about Girona. It has several names: Iron Bridge (Iron) or Fisheries or Velles Pescateries and also Eiffel Bridge. It would not have been Gustave Eiffel to draw her but his company and so it got the name. It was built in 1877. Mais adiante vemos a Ponte de San Agustí, que não sendo das mais bonitas é de onde se podem apreciar melhor a vista das casas coladas aos rio. 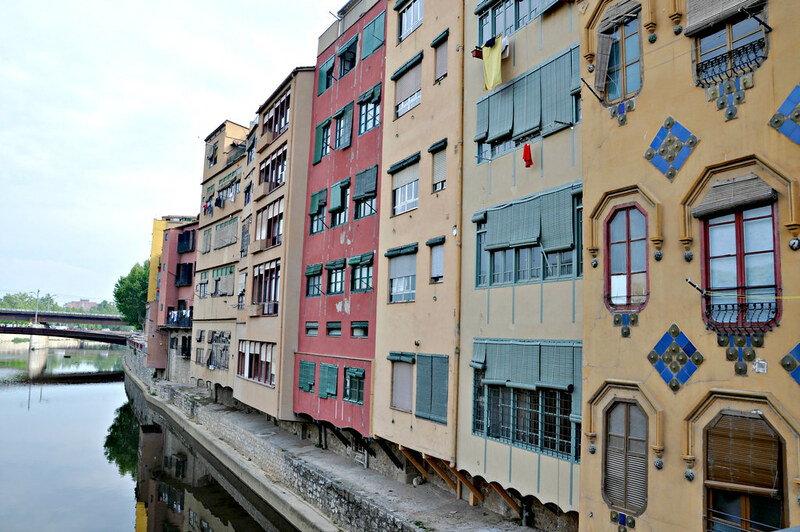 Later we see the Ponte de San Agustí, which is not one of the most beautiful, from which one can better appreciate the view of the houses glued to the river. A quarta ponte que vimos foi a Ponte d’en Gómez, ao contrário das duas anteriores esta foi construída em arco. Dizem que tem o nome do local que cedeu parte da sua casa para que ela fosse construída e foi inaugurada em 1916. The fourth bridge that we saw was the Ponte d’en Gómez, unlike the previous two it was built in arch. They are said to have the name of the place that ceded part of their house for it to be built and was inaugurated in 1916. 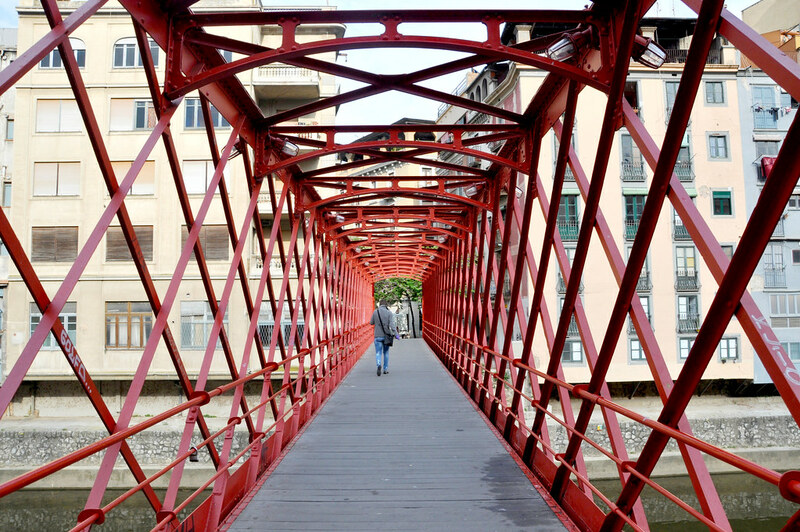 A última ponte que vimos é de Sant Feliu que faz a ligação do Paseo de Canalejas con a Praça de Sant Feliu. É a mais moderna das anteriores e foi construída em 1995. 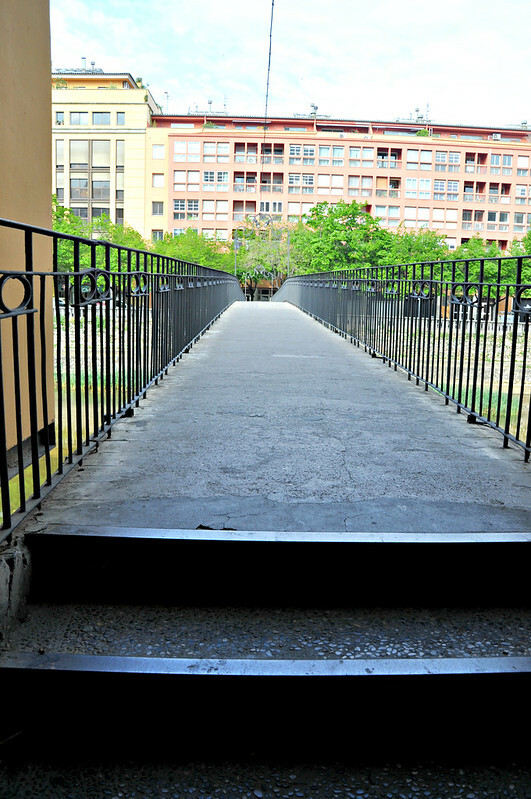 The last bridge we saw is from Sant Feliu which connects the Paseo de Canalejas with the Plaza de Sant Feliu. It is the most modern of the previous ones and was built in 1995.